Denver ranked among the top 10 markets in the Americas for commercial real estate investment in 2016, according to a new report by CBRE Inc. The CBRE Americas Investor Intentions Survey 2016 captured investment sentiment and expected activity of nearly 500 investors focused on the Americas. Most expect to remain very active this year in both acquisitions and dispositions, and they intend to retreat on the risk curve, becoming slightly more conservative in strategy and risk appetite, according to CBRE. 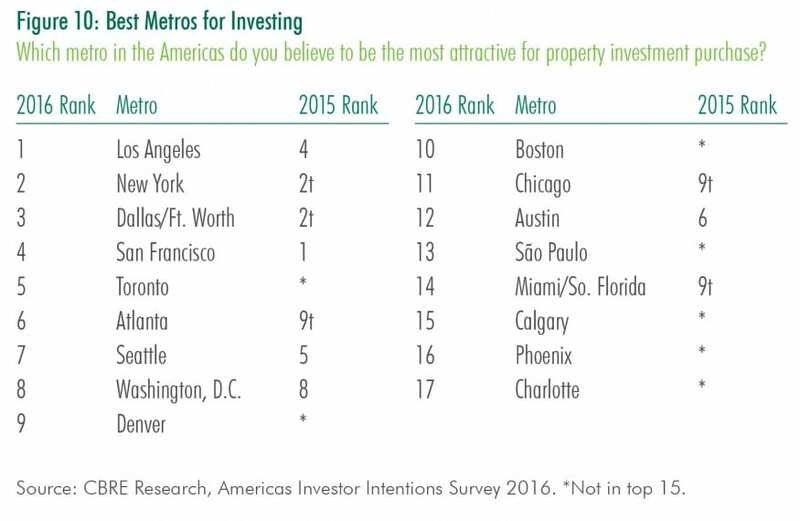 Denver ranked ninth on the list of most attractive metro areas for investment, following Los Angeles at No. 1, New York, Dallas/Fort Worth, San Francisco, Toronto, Atlanta, Seattle and Washington, D.C.
Of the investors CBRE surveyed, 81 percent intend to maintain or increase their purchasing activity this year, and the largest share, 42 percent, expect their 2016 acquisitions volume to be about the same as last year. The next largest share, 39 percent, expect to increase purchasing activity. Dispositions are expected to increase modesty, but 65 percent of investors focused on the Americas expect to be net buyers vs. the 35 percent that said they will be net sellers. The survey revealed that the largest share of investors, 40 percent, prefer value-add acquisitions, while core investments came in second with 29 percent. With regard to product type, the largest group of investors, 30 percent, selected multifamily as the most attractive property type. Office and industrial were tied for second, and one in six investors, or 17 percent, chose retail. To view the report, visit http://www.cbre.us/research/2016-U-S-Reports/Pages/Americas-Investor-Intentions-Survey-2016.aspx. Jill Jamieson-Nichols has been an Editor with the Colorado Real Estate Journal for more than 15 years, providing coverage of office, industrial, hospitality and mixed-use development news in the Denver metro area, plus all property types in Northern Colorado, Boulder County and along the Highway 36 corridor. 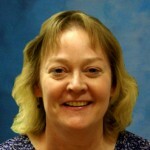 Prior to joining CREJ, Jill was Editor of Golden's community newspaper, The Golden Transcript. Jill earned a bachelor’s degree in mass communications from Colorado State University-Pueblo. When she's not keeping you up-to-date on the latest happenings in Colorado's commercial real estate market, Jill can be found cross-country skiing, exploring the outdoors with her dog, playing piano, reading, or hanging out with family and friends.